The huge aspen trees on this property are such a delight! 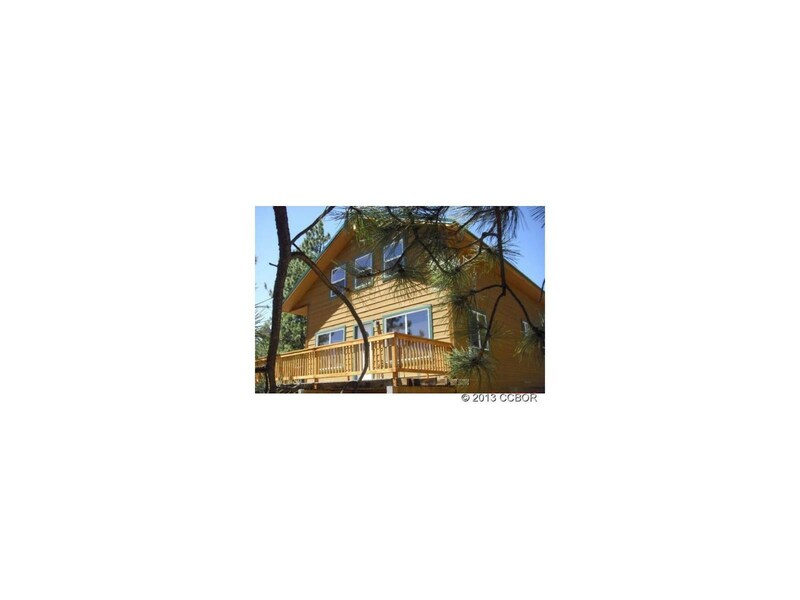 Top that off with a 3 BR cabin and you have a wonderful mountain retreat! The home is finished with hardwood floors, trek decking and hardy board siding, so you won't be spending all your free time with maintenance! The large outdoor decks make a perfect spot for relaxing, watching wildlife, and entertaining. The cozy woodburning stove give a very nice ambiance to the great room area. The pine ceilings give it a truly "cabin" feel.